I know this has been covered a hundred times over the Internet, but I need to centralized all the useful information for my future projects. By default, it’s not that easy to have a clean Unity project under source control. 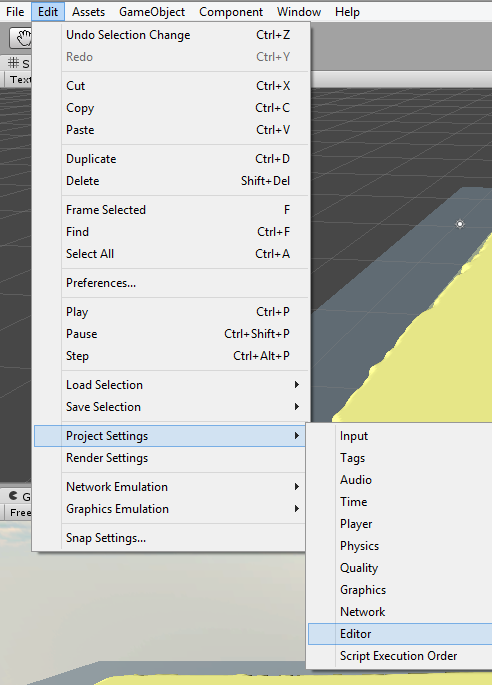 Remark: this post has been updated for Unity 4.3. Remember: you need to do this for each new project. 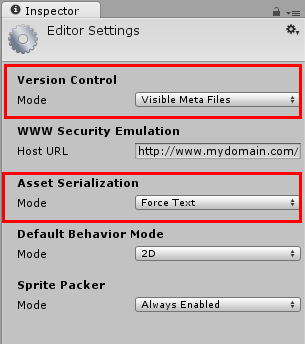 In the inspector window, select Visible Meta Files mode under Version Control and Force Text under Assets Serialization. The first option will allow a project to be commited without the huge Library folder, containing the asset database. Forcing asset to text is better when you work in teams because you can use a diff tool. This is a nice standard .gitignore file for Unity projects. Sometimes you want to add version control to an existing project. Be careful, you can lose all your data, so make sure to have a backup. This works for SVN too, just adapt the ignore rules.